Pet parents often search for holistic healthcare options to keep their furry pals healthy. But when your pet is ill, visiting the vet should always be your first step. However, you and your vet can work together to develop appropriate usage of complementary options, like slippery elm, which can help with gastrointestinal upset. Slippery elm is a tree native to North America. The inner bark is the component used in holistic medicine protocols. Slippery elm is known for soothing the mucous membranes throughout the body, including the mouth and gastrointestinal system. It may also reduce inflammation, thereby assisting with the entire body's healing process. As an added bonus, it contains some nutritive value, further assisting your pet's body as she attempts to heal. 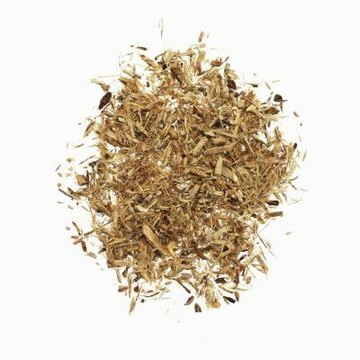 Slippery elm is used for a range of gastrointestinal issues, including irritable bowel syndrome, diarrhea, colitis, ulcers, sore throats, vomiting and colic, and acid reflux relief. It is sometimes added to nutritional products, and often found in lozenges for sore throats. Slippery elm is also used topically for burns, abscesses, toothaches and other issues that benefit from soothing properties. Many pets will experience these issues at some point, and slippery elm may help to soothe their pain. First, visit your vet to rule out any conditions that need medical treatment and talk to him about using slippery elm. If all is OK, you can find slippery elm in powder form at most health food stores. According to holistic vet Michelle Yasson, you can add the powder to water, or sprinkle it on your pet's food. Dr. Yasson suggests 1 to 2 tablespoons for pets under 25 pounds, 2 to 4 tablespoons for those 25 to 50 pounds, and 1/4 to 1/2 cup for the 50 pounds and up crew. Although slippery elm may help your pet with digestive issues, the reality remains that if she is having chronic issues, there might be a deeper medical issue at hand. If she's experiencing chronic digestive symptoms such as vomiting, diarrhea, gas, ulcers, acid reflux or anything else out of the ordinary, make sure your little -- or big -- buddy gets the vet care she needs. So always consult an experienced veterinarian regarding the health and treatment of your pet.